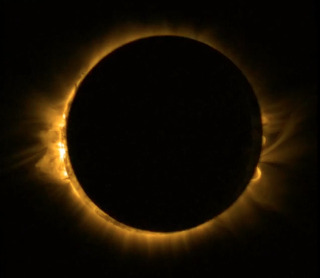 The European Space Agency's Proba-2 satellite snapped this photo of the March 20th 2015 total solar eclipse over a northern region of the globe. A stunning solar eclipse wowed spectators, powerful green auroras appeared on St. Patrick's Day, it was the 50th anniversary of the first spacewalk, and "Christmas lights" were seen on Mars. It's been a busy week in space news; here are Space.com's picks for the best space stories of the week.